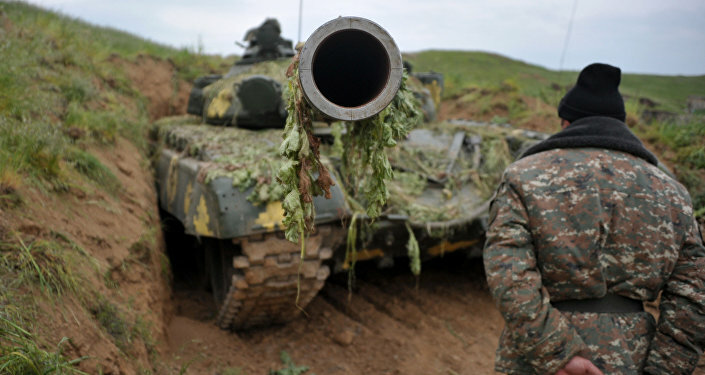 Armenia has violated the ceasefire regime in Nagorno-Karabakh 135 times during the past 24 hours, the Azerbaijan’s Defense Ministry said Sunday in a statement. BAKU (Sputnik) – Azerbaijan's Armenian-dominated region of Nagorno-Karabakh proclaimed its independence in 1991, triggering a military conflict that led to Azerbaijan losing control of the region. “Military units of the armed forces of Armenia violated ceasefire 135 times throughout the day, using large-caliber machine guns, grenade launchers, 60 and 82-millimeter mortars (25 shells),” the statement said. The violence between Azerbaijani and Nagorno-Karabakh forces escalated on April 2, 2016, leading to multiple casualties. The sides agreed to a ceasefire on April 5, but clashes have continued.